Managers at different levels are interested in tracking their employees’ productivity, which is in combination of billable and non-billable hours. Dynamics SL stores some information about the employs’ time sheets, invoice and so forth. Getting some perspective on employee’s productivity will help managers to lead their team better. 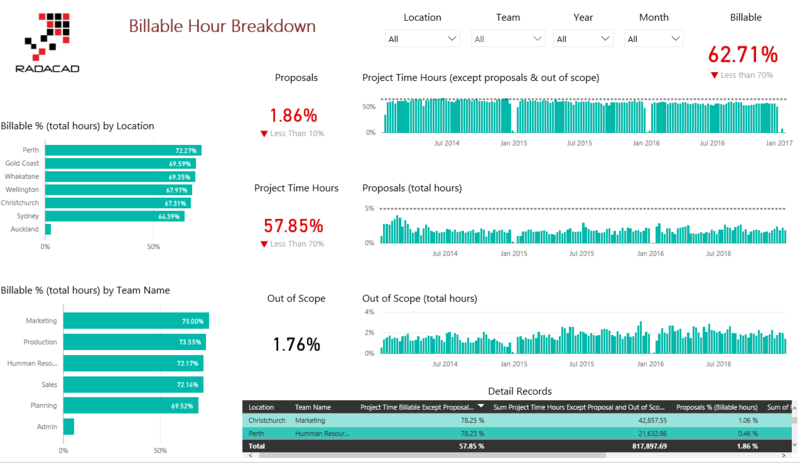 We’ve created a report based on employee’s timesheet stored in Dynamics SL. How productive is each branch and team? What is the break time of timesheet hours? What are the details of billable and non-billable hours? 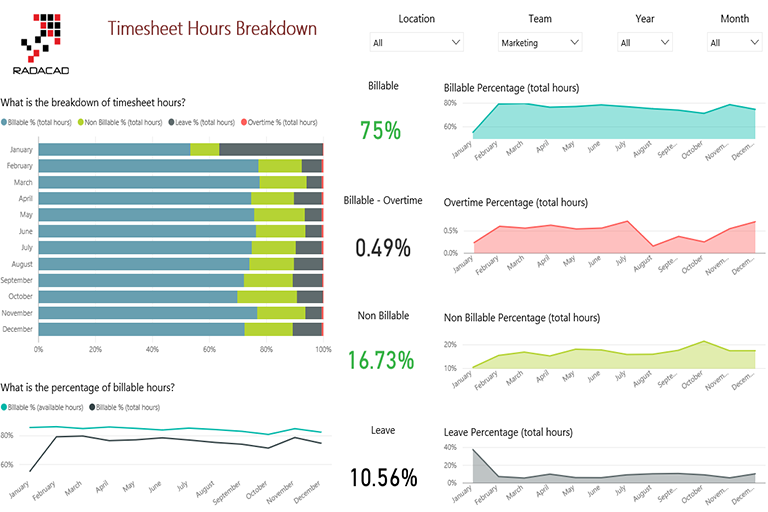 1- Breakdown of the time sheet hours based on the branch and team. 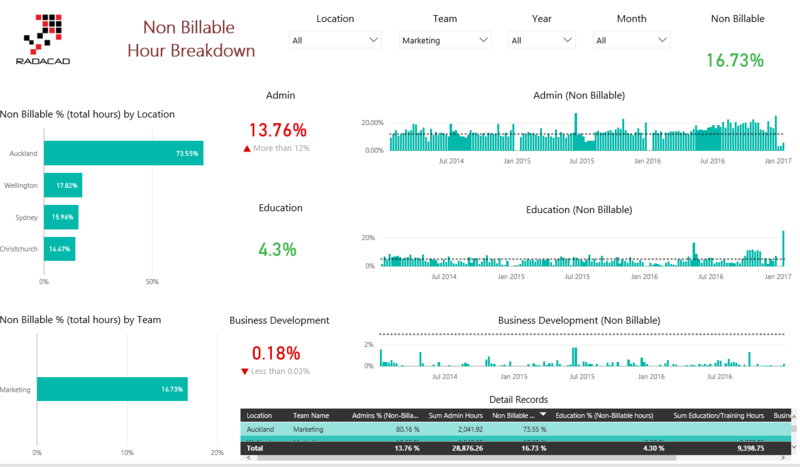 2- Four main KPIs showing Billable, Non-billable, Admin, and Leave hours comparing to the company targets. 3- Values over month, team, location, and fiscal year. The production team managers are interested in information from the breakdowns of Billable, Non-billable, and Admin hours. They want to know how much time their employees have put in education, business development and admin. From the records of Billable hours, they may also be interested in, finding out values of project time, proposal and out of scope hours, that the employees of each location and each team have spent. For leave hours, they may be interested to see how much of these time is for annual leave, sick leave, special leave, and time in lieu.